Average flavonol intake and coronary heart disease rates in the 16 cohorts - Seven Countries Study | The first study to relate diet with cardiovascular disease. 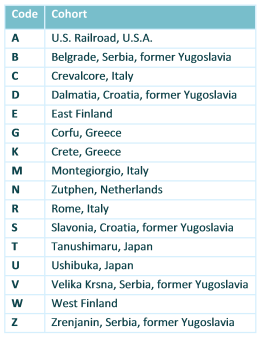 The average flavonol intake varied in the 16 cohorts of the Seven Countries Study between <10 mg/day in the rural Finnish and >60 mg/day in the rural Japanese cohorts. After 25 years of follow-up the CHD mortality rate was 6 times higher among farmers from Eastern Finland compared to those in Japan. 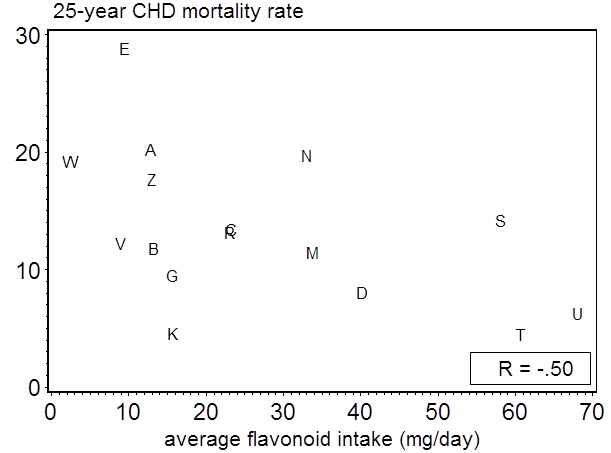 The average cohort flavonol intake was significantly inversely associated with 25-year CHD mortality rates.